The next few Saturdays leading up to Christmas, we will be bringing you *gift guides* to help make shopping for friends and family (and yourself) easier! Our first edition is all about home decor! I moved into a new apartment a few months ago and realized just how much decor and certain pieces make your space feel more home-y, cozy, and inviting. 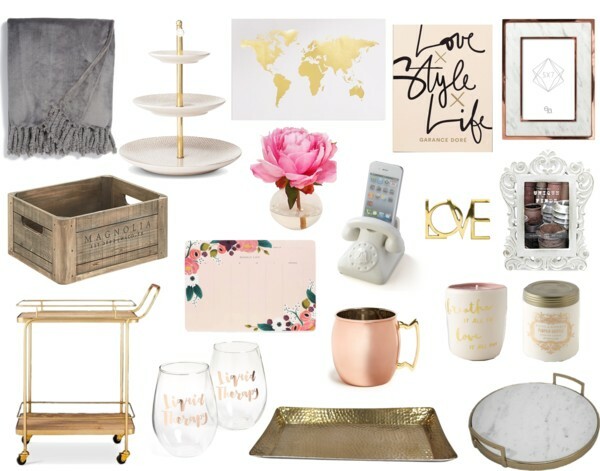 You can shop all my favorite purchases/ideas below! Happy shopping and happy early Holidays! - this stand sits on my dresser and holds my earrings, rings, and small necklaces! -I recently discovered Chip and Joanna and so you better believe this crate is now in my apartment- it's perfect for storing blankets!